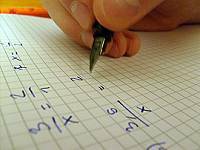 Important facts about Oberwart and its catchment area. Its geographic location, at the border to Hungary, helped Oberwart to become a centre of trade between the European Union and East-European markets. Through the ratification of the Schengen-Contract the great majority of economically strong East-European trade markets are accessible without borders and customs duty. Therefore a subsidiary in Oberwart offers investors the possibility to gain quick access to important East-European markets. 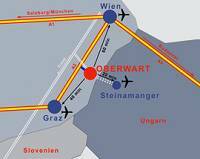 In addition to that, the construction of the B63a road, an important bypass which connects the city with important regional roads, contributed positively to the attractiveness of Oberwart as a business location. As regards human resources, the city of Oberwart has always focussed and will always focus on education and training of skilled workforce. With the help of the WSO and its competent partners the city of Oberwart is able to offer investors and businesses valuable connections to important regional enterprises. 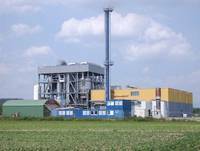 Companies profit from the valuable resources of the city of Oberwart and the whole region. 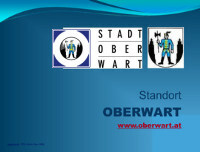 In addition to the advantages for businesses listed above, Oberwart offers an exceptional high life-quality. This is a consequence of the fact that Oberwart offers a vast number of culture-, sport-, wellness-, and other facilities. Business and Wellness is ubiquitous in Oberwart. This exceptional high life-quality is very beneficial for any kind of business activities. Burgenland is a primary development area of the European Union. Therefore businesses who settle down or open up subsidiaries in Oberwart can expect to achieve financial support by funds of the EU, the Austrian government, and the government of Burgenland. According to EU competition-law investment incentives in Burgenland, and therefore also in Oberwart, can be higher than in the rest of Austria. Settlement areas in Oberwart are characterised by modern, and future-oriented infrastructure. Companies profit from this modern infrastructure. The international research-project “methanation” is conducted in cooperation in with the EEE Centre for Renewable Energy in Güssing. Companies profit from eco-energy supply.